“Maleficent” is scheduled to be released by Walt Disney Pictures on March 14, 2014. 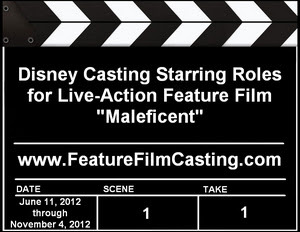 Walt Disney Pictures and Roth Films are in production on the live-action feature film “Maleficent,” which explores the origins of the evil fairy godmother and what led her to curse Princess Aurora in Disney’s animated classic “Sleeping Beauty.” The casting directors in Los Angeles and London are holding auditions for starring, co-starring, and supporting roles. Shooting will take place in Los Angeles and London beginning June 11, 2012 and will continue through November 4, 2012. “Maleficent” is set to hit theaters on March 14, 2014. Tim Burton was originally set to direct “Maleficent,” but backed out of the film to focus on his other upcoming projects. Two time Academy Award winner Robert Stromberg will make his directorial debut from a screenplay written by “Alice in Wonderland” scribe Linda Woolverton, based on the story by two-time Primetime Emmy nominee Paul Dini. Stromberg is a highly skilled and respected production designer and visual effects supervisor for films such as “Avatar,” “Alice in Wonderland,” and the upcoming “Oz: The Great and Powerful”. His career as a Matte Artist is second to none. Producing “Maleficent” are the Academy Award winning producers Joe Roth of Roth Films, and Richard D. Zanuck of The Zanuck Company. Don Hahn, who has produced some of the most successful Walt Disney animated films of the past 20 years, is now producing live-action feature films for Disney and will also be producing “Maleficent”. London based producer and line producer Sarah Bradshaw will executive produce. Minors and foreign talent must be legally eligible to work in the London and the United Kingdom. 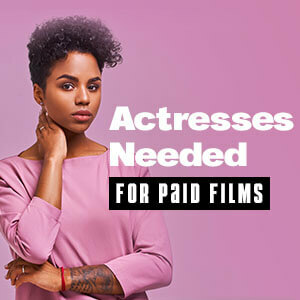 For Los Angeles filming, minors and foreign talent must also be legally eligible to work in the state of California and in the United States. Both the London and Los Angeles Actors Resource Guide eBooks are available here. Maleficent (Angelina Jolie) is the self-proclaimed “Mistress of All Evil” who, after not being invited to the infant Princess Aurora’s christening, curses the baby to “prick her finger on the spindle of a spinning wheel and die” before the sun sets on her sixteenth birthday. Maleficent (which means “Evil-doer”) is a half dragon and the evil fairy godmother of Princess Aurora. The three good fairies Flora, Fauna and Merryweather end up protecting Princess Aurora by weakening the curse so that Aurora will fall into a deep sleep instead, with only a kiss from her true love to awaken her. They hide Aurora until her sixteenth birthday passes, at which point an angry Maleficent sets out to find Aurora and fulfill the curse.